It turns out, I was right about one thing. Motorola will indeed deliver its first Android-powered phone, but not until the second quarter of 2009. According to a report by BusinessWeek, Motorola's version of Android phone will boast an iPhone-like touch screen, a slide-out qwerty keyboard, and a host of social-network-friendly features. Motorola expressed their enthusiasm by saying in a statement: "We're excited about the innovation possibilities on Android and look forward to delivering great products in partnership with Google and the community of developers known as the Open Handset Alliance that are working on the Android operating system." 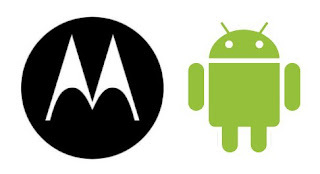 So will it be an Android-powered Motorola RAZR? According to a few reliable sources, the Motorola Android will take some of the design cue from Krave ZN4 (see photo below), the first touch-screen phone from Motorola that was launched a week ago. In addition, it will have a slide-out Qwerty keyboard just like the HTC G1. However, according to some people who've seen the pictures and specs of Motorola's Android-based device, it looks like a higher-end version of the HTC phone. Will I wait for it? Great news. I've been wanting to get an Android phone but the G1 doesn't look good to me. Motorola phones have better designs.